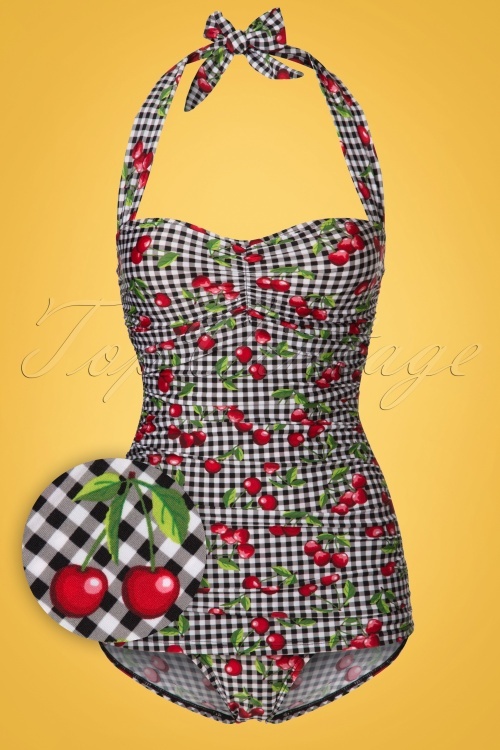 This 50s Cherry Gingham One Piece Swimsuit is a 50s inspired swimsuit with juicy cherries! This retro cutie gives you the perfect pin-up look due to her halter top with pleated sweetheart neckline and super flattering skirted typical fifties front. Suits all body shapes and is incredibly slimming thanks to the composition of the fabric and the clever design. 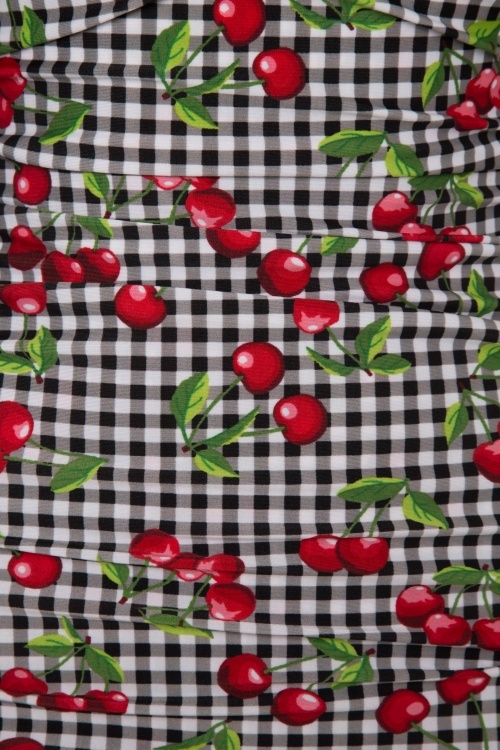 Made from a stretchy fabric with a black/white BB gingham print and juicy red cherries. Your vintage swimwear collection just can’t do without!